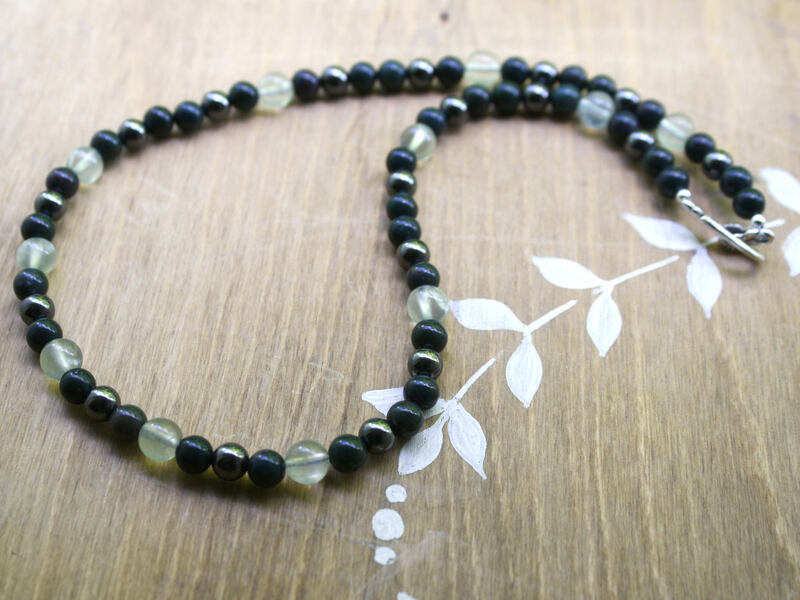 This healing gemstone necklace features 6mm Bloodstone, Hematite, and Prehnite rounds. 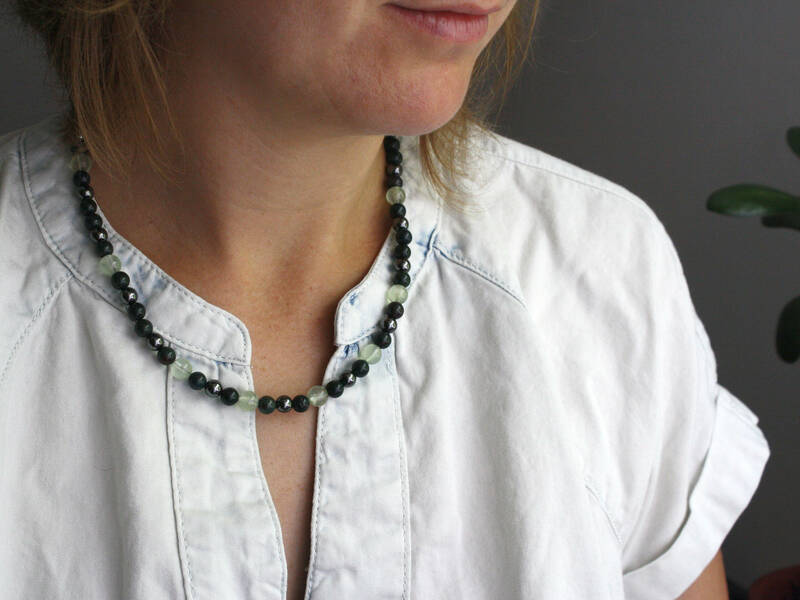 This multi stone necklace measures 18 inches from end to end of its Sterling Silver hook and eye clasp. Stone Properties: Bloodstone heightens intuition and increases creativity. It is grounding and protecting. 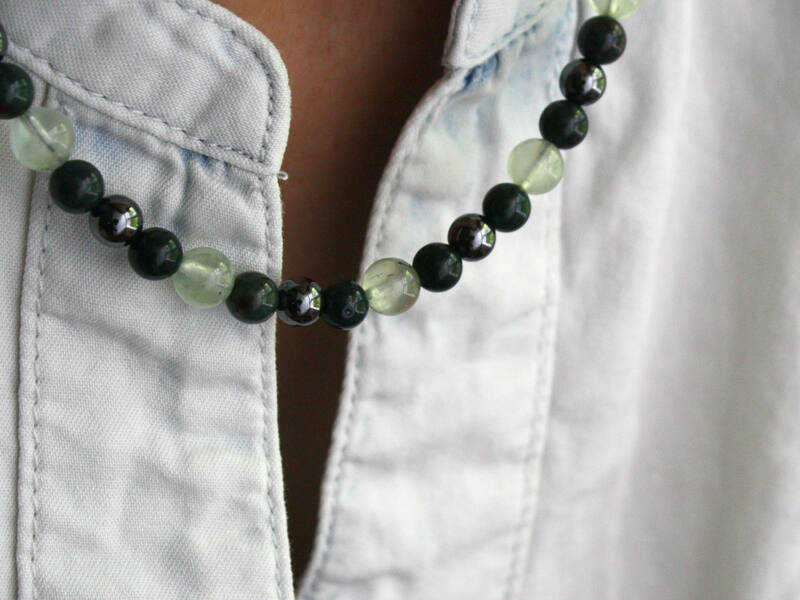 Bloodstone provides courage, calms and revitalizes the mind, dispels confusion and enhances decision-making. 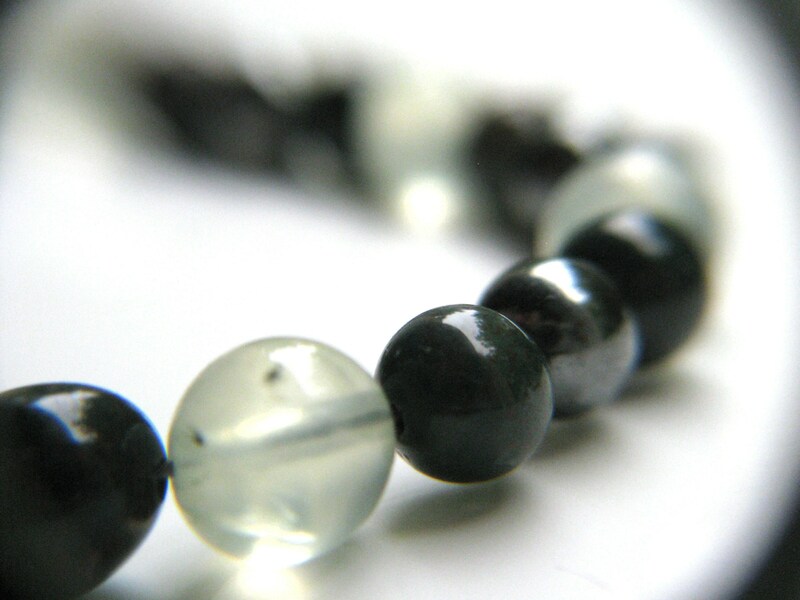 Hematite is a protective stone calms in times of stress. 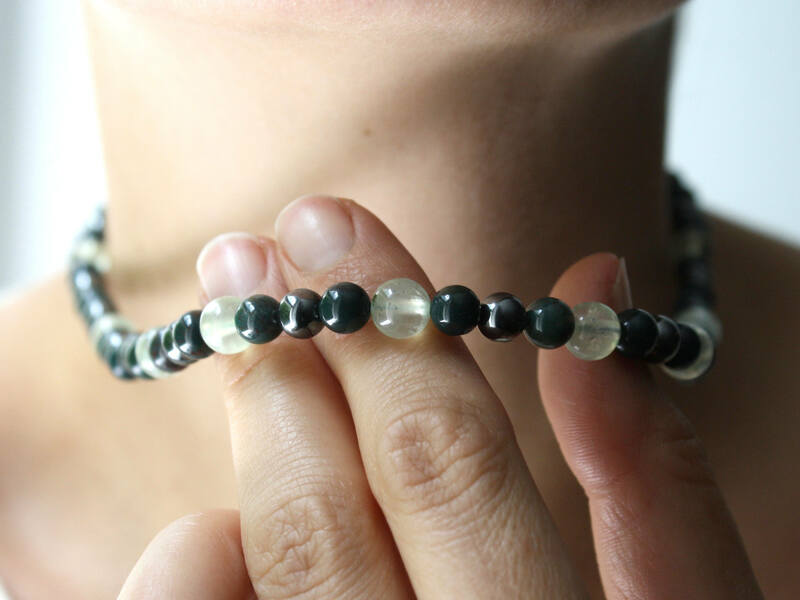 It is a grounding stone beneficial for meditation. 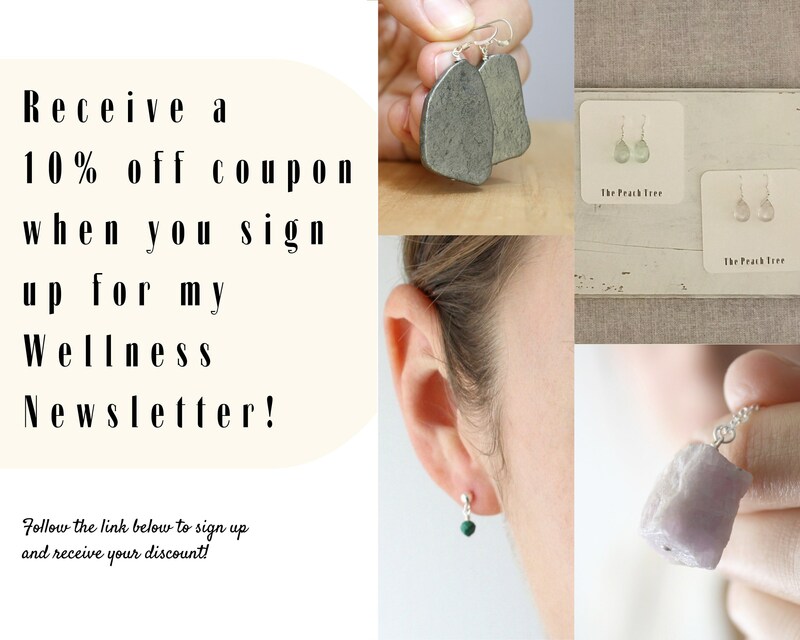 A stone for perspective and remembering, prehnite calms your environment, bringing peace and harmony with nature. Prefer it longer or shorter?